Good day, ladies and gentlemen. Welcome to the NTRA Pre-Belmont Stakes Call. At this time, all participants are in a listen-only mode. Following the presentation, we will conduct a question-and-answer session. At that time, participants are asked to press star, one to register for a question. As a reminder, this conference is being recorded. 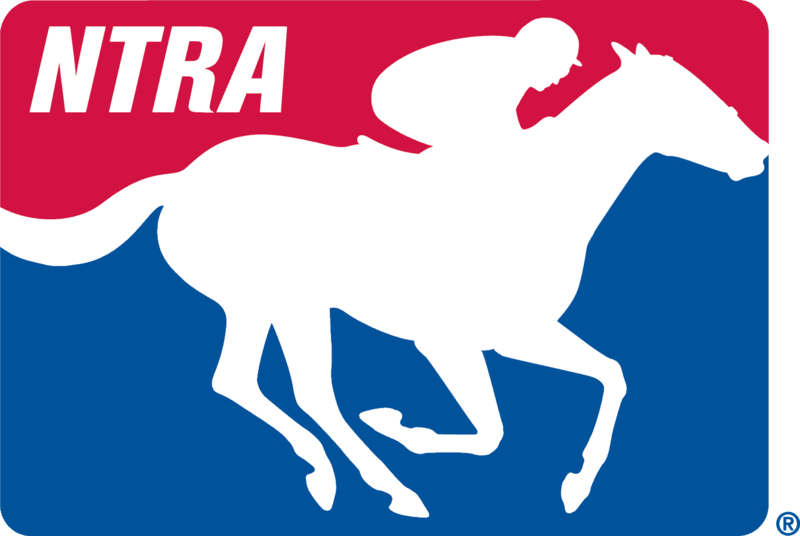 Thank you, Michelle, and good day, everyone, and welcome to the National Thoroughbred Racing Association preview media teleconference for the 148th running of the Belmont Stakes for Saturday June 11. With us today will be Keith Desormeaux, trainer of Preakness Stakes winner and likely Belmont Stakes favorite Exaggerator, who will be joining us in a little bit; Dale Romans, who has two Belmont Stakes starters in Brody’s Cause and Cherry Wine; and later on, Donnie K. Von Hemel, who is the trainer of fourth place Kentucky Derby finisher Suddenbreakingnews. I wanted just to make mention of the fact that today I’m substituting for Jim Mulvihill, who is still on paternity leave with his son, Francis, his newborn son, and he’s doing quite well. So, Jim will be in this place later on this year. I just wanted to take a few housekeeping details before we get to our questions and our guests. This Belmont Stakes was first run in 1867 and is the oldest of the three Triple Crown races, and the Belmont Stakes is a part of a wonderful three-day festival here at Belmont Park. Belmont Stakes Day has 10 stakes races worth $8 million. The draw for the Belmont will be next Wednesday in New York City. As far as everything else is concerned, NBC Sports will be televising, of course, the Belmont Stakes with a two-hour telecast on Saturday June 11, and will be previewed on—preceded on Friday with coverage at 4 p.m. from Belmont Park racing on Friday and on Saturday on NBC SN beginning at 2:30 p.m. I think right now we can go right into our beginning here and bring in our first guest right now if we could. We’d like to speak with Dale Romans, who, of course, has Cherry Wine and Brody’s Cause in for this Belmont Stakes, and I think if we’re ready to bring in Dale we can start right now, please. Dale, good afternoon. Jim Gluckson here in New York. Hey, good afternoon. I’m in New York also. All right, man. How are you? Good, good. I wanted to make mention of something interesting that you talked about to one of the publications earlier this week about getting a horse prepared mentally for the Belmont as much as physically, and I think you were speaking specifically about Brody’s Cause. Can you talk about that? It’s an interesting aspect about teaching horses, and I think you even broke the name Allen Jerkens in saying this. Yes, well Allen talked to me about it with one of my first Belmont horses. You know, to go that far, they’re not out there that long usually in a race, and you just want to get them mentally ready to go a mile and a half and run for that length of period of time, which is unusual for them. So, I just like to keep them on the racetrack a lot in the morning when they’re training. You don’t have to do that much with them, don’t overdo it, but just keep them out there where they know—they’re used to being on the racetrack for the amount of time it’ll take to run the mile and a half. All right. Well, just to make mention of his schedule, what is—what have you mapped out in the next few days for Brody’s Cause? Well, I trained him pretty hard after the Derby and worked a mile Saturday. He worked very well. He shipped up to Belmont in this shape. He just jogged today. So, right now we’ll just train him to kind of normal work Saturday and go from—take it easy from there. All right, well let me just jump over to Cherry Wine for a second. You were very pleased with his performance in the Preakness, and how does the race set up for him another closer for here in the Belmont? Can you talk about his development? Well, I’m not sure, you know, we’ll have to look at it and study (inaudible) in the Preakness just to make—help him if the speed would materialize that showed up on paper, and it did. We took him—we held back and that was the plan from the jump to make one run. But this race doesn’t look like it has that kind of speed, and a mile and a half race is, you know, you need to be closer than—a lot of people think it’ll be a deep closer’s race because they want to go further, but it seems, you know, Woody Stevens used to say it was a speed horse race to go a mile and a half. You need to be out there on the pace because they’re all tired at the end. So, we may be laying a little bit closer. All right. Well, Dale, we have some media on the line that would like to ask you a few questions, so if you’ll just hang in there for a second we’ll get rolling with the media questions. Outstanding. Let’s talk about Cherry Wine here just a second and his improvement. Fourth in the Rebel, third in the Blue Grass, second in the Preakness, so what does that mean is next, Dale? That’s what I’m thinking. I mean if you’re, you know, you want Tennessee guys (phon) we don’t know much, but still it’s one digit math it’s like yes. What kind of improvement have you seen…? You pitched me a softball there and I appreciate it. He’s just getting better and better as he gets older. His father was the same way. He got—he didn’t break his maiden until February of his three-year-old year and he went on to have a—get better and better as he ran because he got older. This horse is doing the same thing. He’s just finally mentally putting it all together. So, I was real pleased with his race in the Preakness and I think he’s set and ready to go for another big race in the Belmont. I think his pedigree is probably set as much as anybody’s to go a mile and a half. Okay, let’s talk about the Acorn, Go Maggie Go. She’s pretty doggone good, too, now isn’t she, Dale? She’s probably as good a filly as I’ve ever trained right now. I’d say she’s done some special things, and, you know, running back winning that Grade 2, off of, you know, three weeks rest and one start and coming back quickly off the Oaks and winning the Black-Eyed Susan. She’s done some special stuff and it’s going to be a tougher race, but she’s as good as I’ve ever had. Dale, appreciate your time. Wish you the best of look and look forward to seeing you soon. Thanks, Danny. It’s always good to talk to you. Thank you. The next question comes from Ron Flatter of RSN Australia. Please go ahead. Hey, Dale. It doesn’t look like there’s a lot of obvious pace in this race. How do you see the race setting up without that? Well, I haven’t handicapped it that hard until after the form comes out and we see the post position. But you’re right, there’s not that much pace it doesn’t look like, and so I think both my horses may be laying a little bit closer or quite a bit closer. I know Cherry Wine will be laying a lot closer. We’re not going to go 28 lengths out of it and try to make it up on a mile and a half on this track without pace, so he’ll be laying a lot closer, and I think he can do that. I don’t think that he’s a horse that has to be way back like that, I just—that was a strategy that we thought gave him his best chance in the Preakness and it worked pretty well for him. But this—if we want to, we can be a lot closer. Looking at Brody’s Cause, do you just draw a line through the Derby? I don’t think the Derby was that bad. I mean, you know, if you run seventh in the Derby and don’t get beat all that far, it’s not a bad race. It’s just, you know, it’s a tough race to win. That’s why it’s so valuable and why it’s so important and so prestigious. It’s wasn’t that bad of race. I just think—and he could improve, and the mile and a half should help him. He should get better with that. I thought he would win. You know, I actually thought he could win the Derby, and I (inaudible) the Derby; the first time I’ve ever felt like that. But I didn’t leave there that disappointed in him. I thought he put in a good effort. He didn’t have the best of trips. But that’s the case, if you’re not the much the best you’d better have the best trip because you’re going to get into trouble if you’re matching the best or up close to the pace. He came running and he finished strong, and, you know, it is what it is. He’ll run big. Finally, Corey and Luis will get rides? Yes, yes, very glad to have them both back on the horses. They both know them. They both, you know, there isn’t anything wrong with either horse and glad to have them back. Thank you. The next question comes from Tim Wilkin of the Albany Times Union. Please go ahead. Hey, Dale. First of all, how are you feeling? Not that good to tell you the truth, but it—they keep—the further I get away from the wreck the more things they find that have gone wrong. So but I’ll be better. Everything will heal. In three or four more weeks I should be fine. Yes, quite a bit. More than I thought I would have to take and more than I’ve ever taken before. But, you know, I had—at the Preakness I started swelling up a lot and they thought I had a bruised heart, and so I had to take quite a bit of stuff and it’s got me a little knocked out. But I’ll be all right. If I can just ask you your thoughts on Exaggerator, deserving favorite in this race? Yes, very talented horse. You know, we beat him twice last year as a two-year-old, but he’s a better horse right now. I thought he looked really well going into the Preakness, and I thought, you know, Keith’s done a great job with him and I thought he just looked as good as a horse can look going into the Preakness. But doesn’t—do you think he towers over the rest of this field right now? No, because nobody’s going to tower over the field because the mile and a half is the question. It’s something no one’s done yet. He should do it with his pedigree, but I don’t think he towers over the field. I think that he’s the well-deserving favorite but he’s going to have to, you know, run and he’s going to have to run his race on a fast track and as fast like he has on the off tracks and prove that he can do it on both, which I believe he can. He’s just a talented horse. But it’s not—nobody’s going to hand this race to him. He’s going to have to run to win it. I think Keith would say the same thing. I think, you know, there’s no—there are very few horses that ever tower over the field in a Classic. Last year was a year that maybe they did, but there’s very few that do. Great, Dale. Thank you. See you next week. Thank you. The next question comes from Jennie Rees of Oaklawn Anywhere. Please go ahead. Yes, Dale, can you discuss your record in the Belmont, and have you ever had so many thirds in such a big race? I don’t think there’s much bigger than—unless I’ve had two thirds in the Derby and four in the seven starts in the Belmont. That’s pretty, you know, I had a teacher tell me once in high school I was lost at sea, because I was just—everything I did was average, and I guess thirds are averages in Belmonts—or in Classics, so I’d like to step up and break that mold here pretty soon. With Cherry Wine, what’s gives you confidence that he can be as effective on—I mean I know he’s won on his—what off the turf I guess it was on a fast track, but against this kind of company on a fast surface versus a wet surface? His race at Gulfstream was on a fast track. He ran big in that one. It was a, you know, that was a big race. I think he can run on anything. That was surprising. I thought he would be a turf horse, but he’s definitely starting out to be a dirt horse. Yes, but this on I guess this kind of company? I think—what is it you see in his action or is there anything that you, you know, because, again, we talked about this before, you said going to the Preakness that the wet track would move him up but you changed your mind on that. No, a wet track I thought would move him up and I think it would if it hadn’t rained again maybe, but I don’t know. I just knew he would run good on a wet track, and that’s—there is a little bit of an unknown there if it was slop just like it was with the favorite. But, you know, the way he’s training he’s a very efficient mover. His father ran well on the dirt. He ran third in the Derby on a fast racetrack. So, maybe he can do the same thing. I think he will. He trains good on it and works good on it, and, you know, he’s just a solid nice horse. There’s always—there’s a lot of unknowns going into the Belmont every year; who will go the distance and the surface issues, and I had the same surface issues with Dullahan and a couple of others, but this horse acts like he’ll do anything I want him to do. I think he’ll lay closer, he’ll go from behind, he’ll do whatever we ask. I think the big thing is his pedigree; he should get the mile and a half. You know, he’s one of them that should. So, in that context talk about, you know, you were third with the maiden in the Belmont, and like the Derby it seems like you have to be an exceptional horse to win. The Preakness is very—tends to be very formal. The Belmont, a whole lot of horses eligible (inaudible) other than have won in, you know, the last 10, 15 years. So what is it about the Belmont? Are horses just wrung out or is it strictly the mile and a half or whether they can handle Belmont? I think it’s strictly the mile and a half, and I think that there’s—if there’ll be—there are horses that aren’t as accomplished that run it, but they would be if they’d had more mile and a half races to run in or after the Belmont, but there just—it seems to be the only one like Nolan’s Cat. That’s the only reason I ran him is I knew that he would like the mile and a half and (inaudible). That was my first starter I think in the Belmont and he ran a good third, and he was (inaudible) and he owned the stallion, he owned the mare, and he was a nice horse, and I knew, you know, where else can you run a mile and a half with a horse you know wants to go that far? Yes. Okay, great. Thanks, Dale. Hey, Dale. How are you? Doing all right. How are you? Pretty good. Hey, with Brody’s Cause coming in off a five week rest and Cherry Wine with the three weeks, are you comfortable with the—with that amount of time between races for each horse? Does kind of that timing work for each horse? Yes, it’s—it’ll work well. I mean the difference with Cherry Wine is he had the rest before the Preakness and so he came into it fresh, so to turn around in three weeks isn’t going to be as big a deal as a horse, you know, that had to run hard and then ran in the Derby and then run Preakness and then run Belmont. For Brody, he’s, you know, he ran in the, you know, he ran in the Tampa and he ran in the Blue Grass and got right back into the Derby, so he probably—the five weeks should do him some good. So, I think both of them will be set up just fine. Thank you. The next question comes from Tom Jicha of South Florida Sun Sentinel. Please go ahead. Yes, hi, Dale. You’ve talked a little about pedigree. A couple of weeks ago on one of these calls, and I’m paraphrasing, Bob Baffert said that he didn’t think horses these days, few if any, are bred to run a mile and a quarter, which would go even more for a mile and a half. What are your thoughts on that? Well, he’s probably—I’m not going to argue with anything he says. He’s a genius of this game. But he’s probably right. They aren’t bred—there’s not as many of them that are bred to go the distance. But, you know, if they’re going to go—every horse will go it’s just how fast they’ll do it. But I think my horse is bred to do the distance. He used to go back to El Prado and El Prado he was running a mile and a half with no problem, and I think that we’re one of the few that are. You know, I look through the sales and I try to find horses that will be mile and a quarter type horses and you end up with buying the grass pedigrees most of the time, because Bob’s probably right, there aren’t that many bred to go as far as they used to. But there aren’t as many races as there used to be. You say you look for horses that’ll go that far. What is it you look for in a horse that leads you to think that maybe this one will go the Classic distances? Well, just the pedigrees. Just I think how their family has all run and how far the family’s gone. But, you know, (inaudible) used to be a constant and now I don’t think it’s even talked about anymore, and that’s a, you know, that was for horses who would run far. But I think they’re still running pretty fast times. Thank you. The next question comes from John Pricci of HorseRaceInsider.com. Please go ahead. Hey, Dale. How are you doing? I’m doing well. How are you, buddy? Everything is okay? I wanted to ask you, you referenced that race from Florida, from Gulfstream Park, and in that race, man, he just made a—I’m talking about Cherry Wine—made a tremendous run around (inaudible); a turn of foot unlike some of the horses—unlike many of the horses that we’ve seen on the Classic trail this year. Given the tape scenario, is there a chance—you say he can go that far, so maybe what about a middle move for him and try to break the race open before the closers can get started? Well, he might be even closer than—you know, he might be closer from the get go before the closers get going, and that might be something we try to do is put a little more speed into him, but it would get him closer. But, yes, that’s definitely a strategy but I’ll just wait and see what it looks like once the form comes out and we can look at it. Do you need a ticket this year by any chance? No, I’m down here in Florida nursing my wounds here. I wanted to ask you one more thing. Who do you project, you know, I was looking at the Derby—I mean the Belmont form, and it appears that maybe, you know, if you go back to the Preakness that Stradivari was—he was pretty rank. You know, obviously Johnny tried to kind of calm him down while also keeping the pressure on the horses who were keeping the pressure on the favorite at that time going into the backside. Do you see him as the potential pacesetter? I mean who would you guess would be on the (inaudible)? Well, yes, he would definitely be the pacesetter I would think. You know, I thought he would be—I thought Johnny did a good job to get him to settle off of the lead in the Preakness. I think he will be the pace and the rest of us will see where we fall, you know, and how we fall out of there and how fast he’s going. If he can get the mile and a half is the question. But obviously he’s a very talented horse. But in any event, a safe trip for both of your horses and a safe trip for you once you leave the track. Thank you, thank you. Yes, that—believe me, I’ll have my seatbelt on. Everybody else will have there’s too. It saved me. Thank you. The next question comes from Richard Rosenblatt of Associated Press. Please go ahead. Listen, just a quick question. Not many of us have been through a Triple Crown like last year, and so now we’re a year later and we’re going into the Belmont, and I don’t know, for you obviously it’s—you’re dealing with your horses in this race, but what do you think Belmont Day might be like I mean after last year and maybe even the year before with, you know, with Chrome and a Triple on the line? Well, the Triple on the line and someone winning the Triple Crown was special because it’s hard to do. If it happened very often it wouldn’t be special. There wouldn’t be all the hype to go along with it. So, we’ve got to have these years where we don’t have the Triple Crown on the line where we still have a great race and we have a great card. (Inaudible) done a special job of putting the card together. This whole three days is a mini Breeders’ Cup, and it’s—the race fan is going to have a lot to look forward to, and a new race fan should come out and watch because you’ll see an emerging star come out at Belmont. Thanks very much. Feel better. I think it’s going to be—thank you. I think it’s going to be a great day and great weekend to race. Thank you. The next question comes from Art Wilson, Southern California News Group. Please go ahead. Yes, Dale, regarding Exaggerator, you mentioned that he’s a talented colt no matter what kind of track you guys race over, but you can also say that, you know, his two most visually impressive races were the Santa Anita Derby and the Preakness, which were both run over muddy, wet surfaces. Do you think if you get a dry track in the Belmont do you think that the chances of Brody’s Cause and Cherry Wine beating Exaggerator increase? Well, you could also say that he’s—those were his last two races where he’s matured, and, you know, the Derby was a damn good race. I thought it was a good race. You know, but I think he’s getting better with age and as his pedigree would say he should. But, well, we beat him on a sloppy track with Brody before in the Futurity, so he likes the slop, too, so I don’t know that it’ll make that big of difference for me. Both my horses like the slop. Okay, and other than (inaudible). I think it’s just—I think Exaggerator’s just improved. I think he’s gotten better as he’s gotten older as Curlin seemed to do, and I think he—because he’s—besides putting those races together he just looked so good, and in the barn every day watching him train he looked good on the track training. He’s just gotten to be better I think. Okay. Other than your two colts, Exaggerator, and Nyquist, what’s your thoughts on the rest of three-year-old crop so far this year? I think it’s a solid group of three-year-olds. You know, they ran fast in the Derby, the Preakness was an unusually fast early pace, and I think it’s a good group of three-year-olds. I really do. I think that there will go on to be some good older horses and good stallions come out of this crop. Okay, thanks. Great. Thanks. Good luck in the Belmont. Well, thank you, Dale. Much appreciated for your time here today in discussing your horses, and best of luck to you in the Belmont coming up in 10 days. Thanks so much for joining us, Dale. Thank you. Anytime. Talk to you all later. Let’s move right on then to Keith Desormeaux. Keith has the Preakness winner Exaggerator primed for the Belmont Stakes. Keith, this is Jim Gluckson in New York. Welcome to today’s call. Jim Gluckson, glad to be here. How about if I ask a little bit of an embarrassing question to you? I just wanted to just begin by talking to you about where—Exaggerator’s adjustment here in New York at Belmont and his schedule over the next few days leading into the race itself. All reports are good. He—and, again, I’m reading he same thing that you guys are writing about. The trip was uneventful. Of course I have personal contact with the assistant Julie Clark. He arrived in good shape; training fairly lightly since the Preakness. We picked it up a little on Tuesday. He’ll do another two minute clip on Saturday, and come back with a breeze on Tuesday. The philosophy is a little different than between the Derby and the Preakness. In that two week interim I was more concerned with recovery and getting him to settle after the race; settle and recover. That’s why I spent a week at Kentucky before going to Baltimore. I thought it was wise to do that before putting him in another new environment. Anyway, the philosophy in those two weeks was maintenance and recovery, whereas after these couple of weeks at Belmont, maybe a little more intense training leading up to the Belmont Stakes being that it’s a mile and a half and on a consensus (phon) different surface, a deep sandy surface, so I wanted to put a little bit more work in him; not extensive, but a bit more than the last race. I just wanted to back up for a second. I know you wanted to obviously move on and are looking forward to the Belmont, but just your reaction to winning a Triple Crown race with your brother aboard the winner and family and friends all chiming in over the last week or so. What’s that been like for you? Oh, it’s been fun. It’s a culmination of a lifetime of work, knowing with as much confidence as I could muster up that it was possible without the deep pocketed owners that you see basically ruling the sport at that level. You—I just saw time and again the horses that make it to that level aren’t always the blue bloods, and I had to figure out a way to do it myself. Like I said, this is a culmination of a lifetime of applying myself to horsemanship and finding value, and to not only get there but to win one in my first evolution in the Triple Crown series is pretty gratifying. Keith, how’s it going, man? Hey, Danny. You must’ve been waiting on the button like on the—what is that game show—Family Feud. Danny Brewer, first in line. Yes, except I ain’t on the Desormeaux family. I guess I’m on the other family, so. All right, talk about the versatility of Exaggerator. Do you think sometimes people underestimate his versatility, because I mean he comes from far back sometimes but he can run out front, too, wouldn’t you agree? Oh, yes, but I’ve never read any articles where someone is saying that he’s not versatile. I mean it’s plain as day. If you say that Exaggerator is not versatile then you’re not reading the form. He broke his maiden going five eighths. He won the Sanford at six and a half, excuse me, the Saratoga Special six and a half, and now he’s accomplished at a mile and three sixteenths. I mean if you say he’s versatile then you’re not doing your homework—or not versatile. Right, yes, because he’s very versatile and he’s won in many different fashions. Now, as far as, you know, the whole endeavor here with your Santa Anita Derby win, the Kentucky Derby and the Preakness, do you pinch yourselves sometimes and think you’re going to wake up or wonder if this is all a dream, I mean because this has been fantastic, right? No, because like I said, it’s not something that I woke up every day only dreaming about, I always thought it could be reality not only because I had confidence in my work, but it is reality. My brother is there almost every year. I’ve had close friends and coworkers that have participated in these events. So even though I wasn’t in it it was tangible to me, it was realistic. So it’s not more—it’s not more dreamlike, it’s more gratification. So it’s rewarding for all of your efforts that you’ve put in over the years and the time and all that stuff? Well, you certainly deserve it. I appreciate your time, Keith, and I sure do wish you the best of luck. All right, Danny. Thank you. Keith, let me follow-up on Danny’s thing about the versatility of the horse. I mean when we look at the lack of pace that seems to be in this race, does this bother you at all? Well, they said there was a lack of pace in the Kentucky Derby, and he ended up 15 lengths off the pace. So, it does not concern me and that is in direct relation to the question about his versatility. It doesn’t concern me because he can be on the lead if we need him to be. Of course we don’t want that, but I’ve always told Kent, and Kent realizes and we’re on the same page, it doesn’t matter if we’re two off the lead or 20 off the lead as long as Exaggerator is comfortable. If he’s comfortable for the first half, three quarters of the race, then it doesn’t matter if it’s a slow pace or not, he’s got a tremendous kick, and that tremendous kick can only be realized by his comfort level in the first part of the race. So, it’s not about lengths off the pace, it’s about comfort level of your horse, and that’s only something the jockey can determine. When you bought him at the yearling sale at Keeneland, what did you see in him? Was it just how he looked? Was it the blood lines? Was it the total package? What specifically did you see that attracted you to him? I saw everything. I look at pedigree. Pedigree means nothing to me until I see the individual. I spotted him in the back ring and immediately was attracted to him; very correct in his confirmation upfront and behind. A very good walker; catlike walk with a good coverage of ground and efficiency. His balance, it’s so important the balance of the placement of his neck and angle of his shoulder and length of his back and through his hind end, balance is so improvement and efficiency. And intelligent eyes. He had it all physically. Then you go to pedigree. Of course he’s by a side that I always loved and couldn’t wait to get my hands on one; Curlin. It so happened that at that time Curlin was pretty cold. Curlin was respected but he wasn’t a go to sire at that time. The only horse he had sired was Palace Malice in the—on that level. So, I think the verdict was not out on Curlin yet in the general public, but as far as I was concerned I loved it. It was the same scenario as Texas Red. People were off of Afleet Alex, and I just couldn’t get my—I couldn’t wait to get my hands on him at the right price. The same applies to Curlin. He wasn’t the hot sire at the time, and I think that’s totally the only reason I could get my hands on Exaggerator, because as an individual he was outstanding. Finally, are you still looking at a Tuesday work for him at Belmont? Yes, Keith. Your colt is already proven. It doesn’t matter what kind of track, he’s going to fire. You know, he’s been good on all kinds of tracks. Arguably his two most visually impressive races were the Santa Anita Derby and the Preakness when he ran over the off tracks. How much do you think the off tracks had to do with his performances, or Dale Romans told us earlier he thinks your horse is just maturing and getting better? What’s your thought on all that? Well, I think Dale is right on. And because Dale didn’t have a horse in the Santa Anita Derby it’s kind of hard for him to compare the Preakness and that race, but I think Dale would agree with me when you look at the pace of the Preakness and the Santa Anita Derby, it was so hot upfront it contributed to the fact that the leaders, and the second flight for that matter, are going to collapse. When you have the only horse sitting back there reserved—being reserved and just waiting to explode, then it’s going to make it look more exceptional. So, I contribute his—the way he looked in those two off track races to an incredibly fast pace than to the fact that the slop or the mud moved him up. So, I guess another way to put it is that if they go an exceptionally fast pace on a dry track and we’re sitting back there comfortable then the result is going to be the same. He’s going to just explode by them. So, you’re right, his performances are as good on the main track as compared to the mud. It just so happens that those two really off track races the pace was extremely fast. Thank you. The next question comes from Tim Wilkin, the Albany Times Union. Please go ahead. Hey, Keith. The last two years at the Belmont you have California Chrome going for the crown and you had Pharoah last year winning the crown. Obviously after you guys won the Preakness that eliminated the Triple Crown dreams for anybody—well, for Nyquist, and a lot of people then were going to get excited about the fact that—the rematch between Nyquist and Exaggerator. Now that that’s gone, do you think people are going to be jazzed up to watch the Belmont Stakes? Tim, you would be able to answer that better than me, because I would think that you have a pulse—a better pulse about the racing public in New York compared to what I do. But in my estimation, yes, that’s the only bad thing, and I’m a big fan, too, obviously, of racing. That’s the only bad thing about beating the Derby winner in the Preakness; you lose a lot of the mainstream media and maybe the casual fans that might turn on the TV to watch a potential Triple Crown event winner. So, yes, I think we’ve lost a few fans. But I don’t know; I’m so close to the situation. It sure seems like Exaggerator has jazzed up some people. Maybe they like the name and they like his running style, they like the distance of his wins, maybe they like this brother/brother thing, I don’t know. Hopefully we can get some fans that are not every day fans to come in and watch us compete, and hopefully we can provide them with a good show. Is Exaggerator—you talked about Exaggerator’s recovery time being pretty quick. Did he recover pretty quick out of the Preakness? Yes, and that Pimlico barn area and the quiet—what am I trying to say? That place cleared out and was as quiet as a church after the Preakness. You know, that stake barn area is—there’s only two or three barns there and the remainder of that stable area has been made into a parking lot. So I know that stuff is boring. But it just cleared out; it was quiet. Pimlico has a great surface, and the staff there looked over us and it was just a great place to spend a week after his big effort, and yes, I think he recovered as well after the Preakness as he did after the Derby. Hey, Keith. How are you? Hey, I thought it was interesting what you were saying about the stallions Curlin and Afleet Alex. Do you think sometimes people downgrade or give up a little bit too soon on these young stallions? Yes, that’s obvious. It’s all about what—and they give up on trainers, too, real quick. It’s all about what you—what have you done for me lately, and if a stallion isn’t hot on the track, then people will move elsewhere. You know, there’s always another hot, young prospect coming in. The nature of the game is to give young sires a chance. Everybody tries to get in on the first crop while the breeding fee is low and the prices are maybe low to get that next superstar. A case and point is Uncle Mo. Now, you think if you tried to go to the sale and buy an Uncle Mo now, you’d have to be a sheikh to be able to afford it, whereas Uncle Mo’s first crop were relatively attainable. So, that’s the reason why people jump on the young sires’ bandwagon before they’re proven, and I think Afleet Alex and Curlin were at that breaking point. They were losing public support, and then, you know, obviously the Texas Reds and the Exaggerators and the Stellar Winds came into play. Then on Exaggerator, when I look at that horse, I just see steady improvement from start to start. It’s really quite amazing. Have you ever had a horse like that and can you put your finger on what quality has allowed him to do that? You know, Texas Red did that if you look back on his forms. Each start was an amazing graduation of readable or tangible numbers. He increased every race. But I could explain that with Texas Red because physically he was that way. You just knew every start would be getting better because his body was—he had this huge rangy body that you knew would get better with time. Exaggerator is kind of a precocious younger horse and he’s built different. He’s more refined, and, how would I say it, tighter lines. So, Exaggerator has been fast from the get go is what I’m saying. I think the reason, the only explanation I can give you for his ascension is, one, pedigree, and two, as he, you know, he’s by Curlin out of a Vindication mare. That means distance—or they get better with age and distance. Two, just racing experience. He—after all these starts, he finally realizes exactly what we’re asking him to do. We’re not asking him to blow away from there from the gate and run as fast as he can. We want him to settle and finish, and that’s very hard to do. Horses have very volatile minds and it’s our job as trainers to try to keep those in check. Yes. Thanks so much, Keith. After the Preakness you said it may take a couple of days or a little while for some brotherly love to sink in, so I’m wondering where we stand there a week before the Belmont? Secondly, with Kent having ridden so often in the Belmont on that racetrack, will you have maybe more of an extended conversation with him than you did for the previous races? All right, let me see here, the brotherly love question I don’t—brotherly love sinking in. I don’t remember that, but I guess to answer your question is we have a relationship that, you know, you can’t—how do you describe a—I mean the depth of the affinity we have for each other growing up together as brothers and now being in business together, it’s kind of—it’s hard to describe. But it’s there. This is like icing on the cake. This is gravy. This is not something that needs to get any stronger. It’s pretty cool, and it’s very, again, I use the word gratifying. As far as the racetrack, do I need to speak to him more? No. He’s ridden there. He rode several years in New York. He’s won a Belmont. Of course he’s had his issues with a couple of other ones, but the pressure’s not on us. We’re not—we don’t have a Triple Crown candidate. The pressure is only on us to bring our horse up there in the best shape we can and get a nice smooth trip. But this is more about having fun, you know; appreciating the fact that we’re competing on the highest level and enjoying every moment of it. All right, thanks very much. I appreciate it and all the best to you in New York. Keith, this is Jim again. Thank you so much for joining us today and you were terrific on your first call here. We so are very pleased that you’ve joined us, and best of luck to you and the family and Exaggerator in the Belmont Stakes. Keith Desormeaux, everyone. All right, now we’d like to move on to our third guest. He is Donnie Von Hemel, the trainer of Suddenbreakingnews, and we’d like to bring in Donnie here and to speak with him. Donnie, this is Jim Gluckson in New York. How are you today? I’m very good, Jim. How are you doing today? Great, thank you. I wanted to just get into a couple of questions for you before we turn it over to the media. With your—with Suddenbreakingnews, his pedigree with A.P. Indy, Afleet Alex and all of his distance capabilities that he has. I would imagine that you’re really looking forward to this Belmont Stakes. Yes, very much so. We’re looking forward to it. I think I’ve commented previously that we don’t have many mile and a half races on the dirt, and this may be the only one for three-year-olds that fits that bill, and that’s something we think our horse can do so we’re very much looking forward to coming out and giving it a good try. Well, with so many closers in the race, what are you concerns or strategically about keeping in contact with the field for this particular race? Yes, I think it’s—pace becomes more and more important the further you go, and there’s more—always more of a chance the further you go that the pace is going to be soft. I think in an instant like that that our horse will be fairly close. If the half mile is in 50 seconds we probably won’t be more than a few lengths back. If it’s faster than that then we’ll probably be a little further back. But we all know it’s not going to be like the Derby; it’s not going to be 45 and change. So, to think that this race is probably going to be 49 or 50 the first half mile and we’re going to be somewhere in striking distance at that point I would think. All right, Donnie, and your shipping plans to Belmont? Yes, we have a flight up on Tuesday the 7th. All right, very good, very good. At this time, we have some media on the line that would like to ask you some questions, so let’s just turn it back over to Michelle here and we’ll get that process going for you. Hold on one second. Our first question comes from Marcus Hersh, Daily Racing Form. Please go ahead. Hi, Donnie. How are you? Good, Marcus. How are you doing today? I’m pretty well, thank you very much. I wanted to ask you about your horse and turns. I think it’s been widely speculated, but I don’t know if I’ve ever heard you talk about it, that maybe he doesn’t get around the bend as well as he gets down the straightaway, which I guess is true for most horses to some extent. But it just looked kind of in the Derby a little bit like he maybe lost some momentum just going around the far turn and then really picked it up once he swung back into the straightaway. If there’s any truth to that, do you think having such a gentle sweeping bend in this race is going to be beneficial to your horse? Well, I think—I didn’t feel it that much in the Derby as I did a couple of races in Arkansas where maybe he wasn’t as good around the turns, and that is a thought that’s crossed my mind in the Belmont being a mile and a half racetrack and how wide the turns are that that could be one of the things that’s going to be a benefit for us, yes. Great. One more thing, if it is a slow pace and it’s a different kind of race for him, he does seem very effective making one big run from farther behind. Do you have concern about a horse like that, you know, changing up his style and having to run a different sort of race? Well, I don’t know if it’s changing his style in that he will be running the same sort of fractions he’s run in his previous races, because if it’s 49 or 50 that’s probably somewhere along the lines of what we were running earlier in some of the earlier races this year and where they were fast paces. I think there’ll probably be some horses in front of him no matter what the pace is, but the fact that we would be a couple lengths, two, three, four, five lengths behind as opposed to 15 or 20 lengths behind I don’t think will be a factor. I think if you look at some of his races as a younger horse, we did have a horse that was placed closer. Now, we did have a lot of success being a deep closer this spring when the pace was really rapid, and I think even in some of the races where it wasn’t 45 but it was 47 and change on a track that was a little more tiring or taxing to the frontrunners, that was probably to our benefit. But it’s a mile and a half race. It’s just one of those things where I think the pace and the ability of the riders to sense that pace and know that is a very important factor, yes. All right, Donnie. Thanks so much. Good luck. Donnie, what was the thought process going into the jockey change? Well, I think the biggest factor was experience on the Belmont racetrack at a mile and a half, and experience in the Belmont itself. I think it’s a unique race on a unique racetrack as far as American racing is concerned, and the chance to have Mike Smith ride and Mike’s been a leading rider in Belmont before. He’s won the Belmont before and just trying to make sure we have the best chance for our horse to show what he can do. At the risk of either being indelicate or over thinking things, what do you find now that you know that this horse is a ridgling rather than a gelding, what does that tell you about any past performances and just what happened to get you to that point? Again, I understand if you have to be delicate about this. Yes, I’m not sure I understand the question. As far as he has two undescended testicles, and then I’d been told he was gelded so it was when it came time to be tattooed he was tattooed as a gelding, and really was a mild mannered kind of a narrow made looks kind of like a gelding horse, so it was never a question. Once we did the ultrasound and found out he was actually what they call a bilateral cryptorchid, that was news to us certainly, and, you know, I don’t think it’s really changed anything about what I thought of him before or since, and just something that’s a change in his gender or lack of being a gelding I guess is about the only change I can see. Right, no you—that’s exactly where I was—what I was asking. Okay, thank you. Hey, Donnie. You ran against Exaggerator obviously in the Kentucky Derby and I’m sure you watched the Preakness. What are your impressions of him and do you think he is without question the horse that has to be beat in the Belmont? Yes, I think he’s a very high quality horse. I think he’s shown that many times on the racetrack, and with the mile and a half, I think with his pedigree I think it’s very much something he can do also. I think he’ll—I do believe he’s the horse to beat in the race. I think he’d be the favorite and the deserving favorite, and you just have to look at it and hope there’s a place here and there where we can gain an advantage where we didn’t run in the Preakness and pointed more for the Belmont. Hopefully that will be an advantage for us. But I do think Exaggerator is the horse to beat, and I think to be quite honest, he’s the most likely winner of the race with what he’s done up to this point. How much do you think the time in between helps you; time off from the Derby to the Belmont? Yes, I think it’s good for us. I think it’s good for us. The mile and three sixteenths wasn’t going to be the kind of race I felt like that we would have a chance to beat Nyquist and Exaggerator, and the fact that the Arkansas Derby was three weeks leading up to the Kentucky Derby and then to come back in two weeks and three weeks, we just thought it was our best interest and our horse’s best interest and his best chance to win one of these Grade 1 Triple Crown races was going to be in the Belmont. I thought he showed he was the right kind of horse in the Derby. He belonged and deserved a chance to win one of these races. All right, very good. Thanks, Donnie. Yes, Donnie, you’re the second trainer this morning or this afternoon, Dale Romans also mentioned it’s unfortunate that they don’t write more mile and a half races. But if you talk to racing secretaries they’ll say we don’t write them because they don’t fill. The Breeders’ Cup tried to bring long distance racing with the marathon and ultimately they had to discontinue it for lack of support. Do you think if they wrote more races that there would be more distance races at a mile and a half that they would be supported or it’s just the breed now is not suitable for that kind of a distance? Yes, it’s what came first. What I’ve seen throughout racing is just more and more sprint races. We’ve gone the last 15, 20 years to the, for example, the five eighths turf race being a little bit of a novelty item at the end of a meet to a mainstay in American racing. I don’t like it myself, and there’s from time to time I have horses that run real well in those races. But I still think to separate—distance to me separates good thoroughbreds, and the further you go the more that begins to tell, where at five eighths there’s not a lot of difference between a good horse and a not as good horse, whereas when you go on a quarter and up, I think it really starts to show who are the quality animals. Now, I can’t argue the racing secretary’s point. It’s a hard race to fill especially on the dirt and they have a point no doubt. But I would welcome more distance racing myself, but that doesn’t appear to be the trend in American racing. I just thought of this as you were talking, Do you suppose that if the tracks got together and each of them agreed to write a race like that with a decent purse that that might spur more interest in distance racing? Well, that’s a possibility. But I think the point you made in your question there is that the tracks would all have to get together, because, and they’re competing for horses, and if you won’t write the race at this track someone will at another track, and then that’s where the horse is going to go run. So, they all have to decide they would—it would have to be together and they would all have to decide, well, these are the kind of races we’re going to write, and so people are going to have to run where they’re at. They’re not going to be able to go somewhere else and run in a shorter race type of thing. So, it would take a lot of coordination between the tracks, yes. Yes, what I meant was that as it is now the Belmont is probably the only time these horses will ever asked to run a mile and a half on dirt because there aren’t any. I think they have one for older horses Belmont Weekend. But if you knew that there was a three-year-old race at a mile and a half at Arlington and there was another one maybe a month later at Laurel and another a month later at Saratoga, do you think that would spur an interest in longer races? Oh, I think it would be worth a try. But it would be a tough thing because I’m afraid if it wasn’t just immediately successful and didn’t draw big fields immediately then it would drop too quick. I think it would take some time if you’re going to try something like that. You would have to have a five or 10 year commitment so as the breeders and the owners and everybody would be looking to try and develop or purchase those type of horses to run. Thank you. The next question comes from David Grening, Daily Racing Form. Please go ahead. Hi, Donnie. I was just curious your reasoning for staying in Kentucky as late as possible as opposed to getting a workout or some training at Belmont? Also, when will he have his last breeze at Churchill? Yes, we’re looking probably Sunday/Monday, somewhere in there we’re going to do some light work, probably a half mile or something like that is what I’m thinking right now. My horse has been very good as far as adapting wherever he’s been. Derby Day the crowd and all the hoopla surrounding the Derby he was a champ the whole time; never turned a hair. I really I think that’s part of the reason that he just adapts and falls into things so well that we just thought the—being up there the five days would probably be enough. He’s been comfortable and trained well here at Churchill, and you know what it’s been—the last few years I’ve seen some horses—some other horses that have done the same as far as their training at Churchill and then going up to Belmont and run and be successful at it. Okay. Where will he call home in the summer? We’ll return to Churchill. We’ll be here through the summer. We really don’t have any specific plans past the Belmont, but we’ll see how things go there and try and come up with a good plan for the rest of the summer. Very well. Thank you for your time. Thank you. The next question comes from John Pricci, HorseRaceInsider.com. Please go ahead. Yes, good afternoon, Donnie. I wanted to follow-up on Tom Jicha’s question, the thought that relates to breeding. Do you think that in terms of those long distance races that we don’t have enough of long distance pedigrees wherever these sires stand? I think it was Dale who was saying that if you’re looking for a horse with a distance pedigree, these days you mostly wind up with turf horses. Could you expand on that a little bit? Yes, I wouldn’t disagree with that. I think the mostly turf pedigrees because that’s where we still run some of those mile and a quarter, mile and a half races pretty much across the country. If you want to run long you’d better be able to run on the turf, and a lot of those pedigrees have some more European influence in them also, because it is something they do over there more often. We have seen more of the miler pedigrees I guess in American dirt racing, that is probably true. I would agree with most of that, yes. Well, given that you spoke of European influence of being a distance influence, well that was an American influence that they came over and purchased back in the ’70s and ’80s and now it’s coming back to haunt. Do you think that the breeding industry itself should do something to improve the quality of the sport, and you said that when we get separation in long distance races that’s how you can tell the good horses from the fair horses as it were, so what about that? No, I would—I think from history, especially in the last 100 years or so, I think we’ve seen horse—the breeding industry go back and forth between Europe and America as far as one trying to improve their side of the Atlantic with the other side’s bloodlines. I think that’s probably good as far as diversity in the gene pool and all those things. Yes, if I had any input in the matter I would try to promote more distance racing, more distance breeding, and I think there’s probably, to me even, a better chance for soundness and longevity careers with horses that run further also. Well, thank you very much, sir, and have a safe trip on Saturday. Thank you. There are no further questions, so I’ll turn the conference back to Mr. Gluckson. Thank you again, Michelle. Donnie, thanks so much for joining us today and taking the time out of your schedule to answer some questions here from the media, and best of luck to you in the Belmont stakes with Suddenbreakingnews. Thanks so much for joining us. Well, thanks for having me. We’re looking forward to a trip to the Big Apple. Outstanding. Thank you. Donnie Von Hemel, everyone. Thank you very much everyone for joining us today and thanks again to our guests: Keith Desormeaux, Dale Romans, and, of course, Donnie Von Hemel.